hand carved rubber stamps by talktothesun. 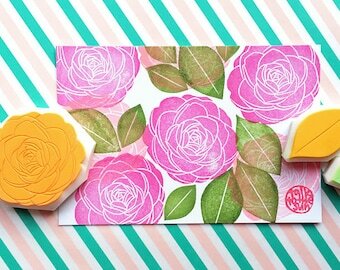 2 eucalyptus flower and 1 leaf rubber stamp set. australian botanical design stamp series. 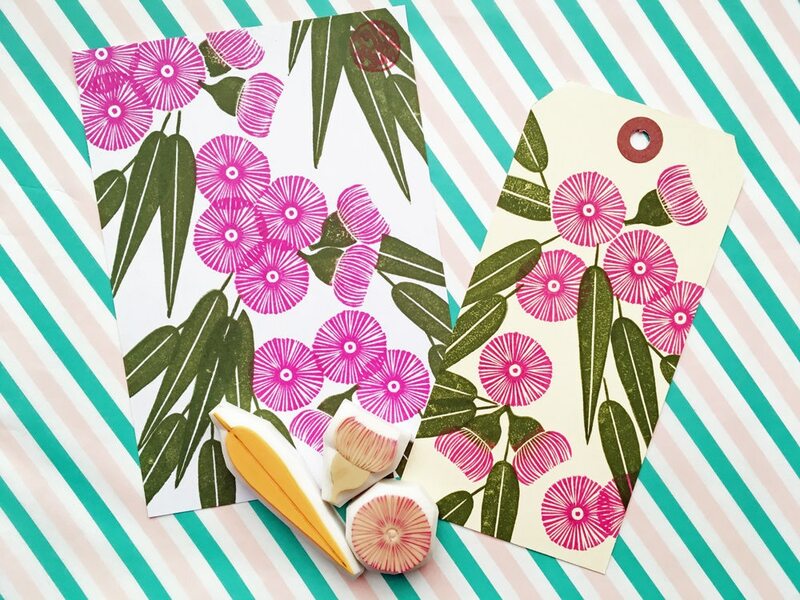 great for pattern stamping + diy crafts, scrapbooking + block printing. decorate cards, tags, gift wraps. gift for friends + makers. 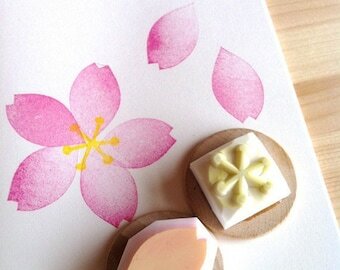 about 2.5cm (0.98in) - flower stamp. about 6.5cmX1.2cm (2.55inX0.47in) - leaf stamp. Just received these and tried them out. Perfect clean stamping. I'm very happy. Thank you! Beautiful stamps, I enjoy so much with them, thanks! !